This could be the clearest new iPhone X leak yet which appears to shows both the 2018 iPhone X Plus and the 6.1-inch LCD iPhone side by side. It's an early reveal leak for Apple, if these do appear officially in September as expected. Apple is expected to release three new iPhone models for 2018 all with an iPhone X style top notch display. The refresh of the current 5.8-inch OLED iPhone X will likely look much the same but the two new models remained a mystery, until now. These new images have come from multiple reliable sources including Ben Geskin and /Leaks adding weight to their validity. 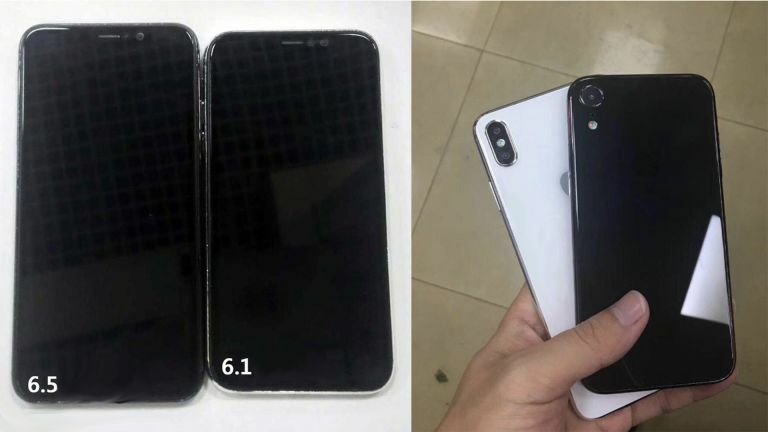 The pictures show a larger 6.5-inch iPhone X which should be the flagship iPhone X Plus. They also show the affordable 6.1-inch LCD iPhone X for 2018. Interestingly, rumours appear spot-on for the 6.1-inch model including that single lens rear camera which should help keep the price down. However, the rumours of a triple lens camera on the larger model appear inaccurate if these images are real, since the larger iPhone has a dual camera. Perhaps the rumoured triple lens new iPhone camera will actually appear on the 5.8-inch OLED iPhone X. This would make sense as a way to enhance the appeal of this model when the others offer a larger screen and better price as their unique features. Of course these could just be false. The 6.1-inch model has no Apple logo and the larger one could simply be a modified current iPhone X. Expect more images to leak soon so we can better judge what's to come. Apple is set to reveal all around September time, if rumours prove accurate.